Last year you positively impacted more than 4,000 pets and families in our community. Check out the statistics below this letter to see all of the incredible ways you made a difference. Your donations not only kept families together through shelter intervention, but they also prevented thousands of pets from entering shelters by supporting life-saving spay & neuter. Many of The Arizona Pet Project’s clients are members of the community who most greatly benefit from the human-animal bond they share with their pets. In some cases, their pets are the only family they have. This is especially true for one family helped through your generosity, Alex and his beloved dog Gizmo. Gizmo is a source of comfort and strength, helping Alex overcome debilitating anxiety and depression after losing his father to cancer. When Gizmo suddenly got sick, Alex arrived at the shelter hoping to find resources. 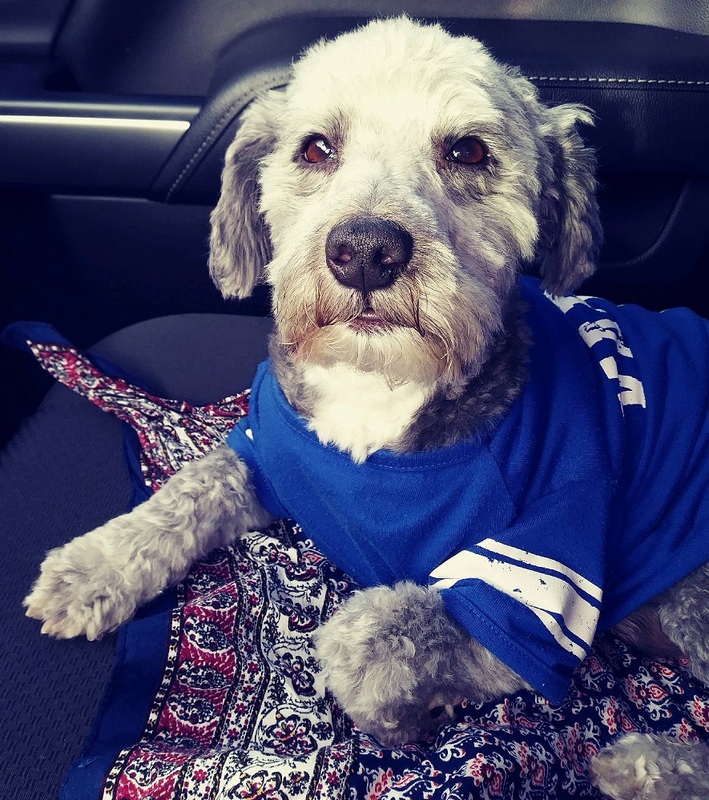 With your help, The Arizona Pet Project covered the cost to have Gizmo treated for an infection and he is doing much better! I’m forever grateful for friends like you, who care so deeply about pets and people in this community. We would love for you to join us on Saturday, March 9, 2019, at the Omni Montelucia Resort & Spa for the 16th Annual HERO Awards, as we celebrate the two and four-legged heroes in our community. Tickets and information are available at azpetproject.org/hero. Funds raised from this inspiring evening will ensure even more pets and their caring families will receive assistance. Thank you again for your 2018 gifts, and with your unwavering support, I am confident 2019 is going to be an even better year for dogs, cats, and their loving families. P.S. Click the button below to get a head start on your 2019 giving. Thank you again for your support!